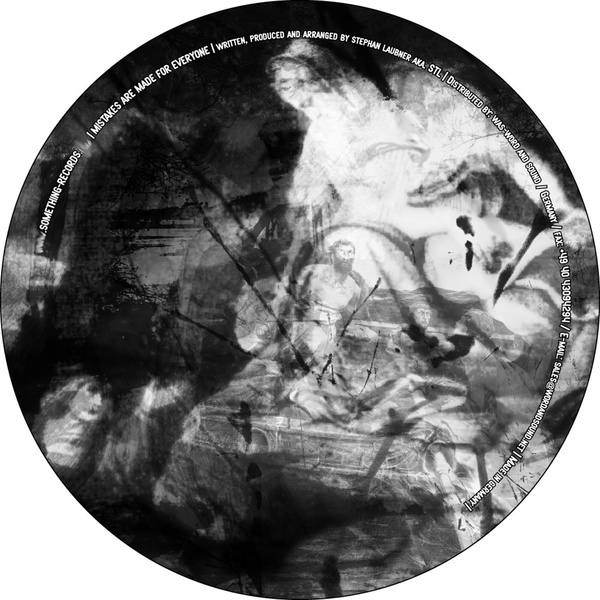 Stephan Laubner in top form again with four very useful cuts of deepest house idiosyncracies, plus 5 bonus loops exclusive to the digital version. There's two really outstanding numbers on this one; firstly 'Fast Forward' with its killer crunchy drum machine patterns swirled into badass jack rhythms leading to the lushest synth pads, simply in scope, but magnificently executed. 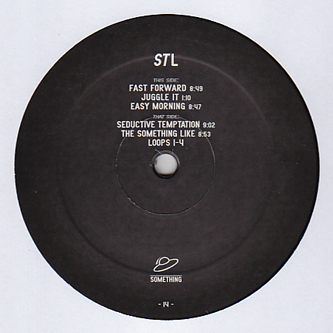 Secondly 'The Something Like', strongly reminding of Theo Parrish's 'Dance Of The Drunken Drums' (a timeless favourite in the boomkat office) with STL's signature nudges and dirty/crispy analogue finish. The other two really ain't shabby either, laying down rugged arrangements reminding of Omar-S and Marcellus Pittmann and backed with the usual selection of dope loops. Another winner from Something, then!